As Baselworld 2015 shuts its doors, let’s look at a few of the thinner, dressier watches shown by many companies during the weeklong timepiece debut fest. Slim calibers, dressed in equally lean cases, were seen at many booths this year. Their numbers and importance to their developers rivaled skeletonized movements, two-tone cases and blue-dialed watches as major watch trends for 2015. In no particular order, here are some of my favorite thin pieces from the show. Always reliable for its dress models, Chopard’s releases this year also features a nicely updated L.U.C regulator and the new Mille Miglia with an in-house caliber (for the first time in this collection.) This 39.5mm gold L.U.C. XPS Fairmined features a rich galvanized slate-grey dial with a design apparently inspired by gold nuggets, which here are sourced from a community-based mining organization. 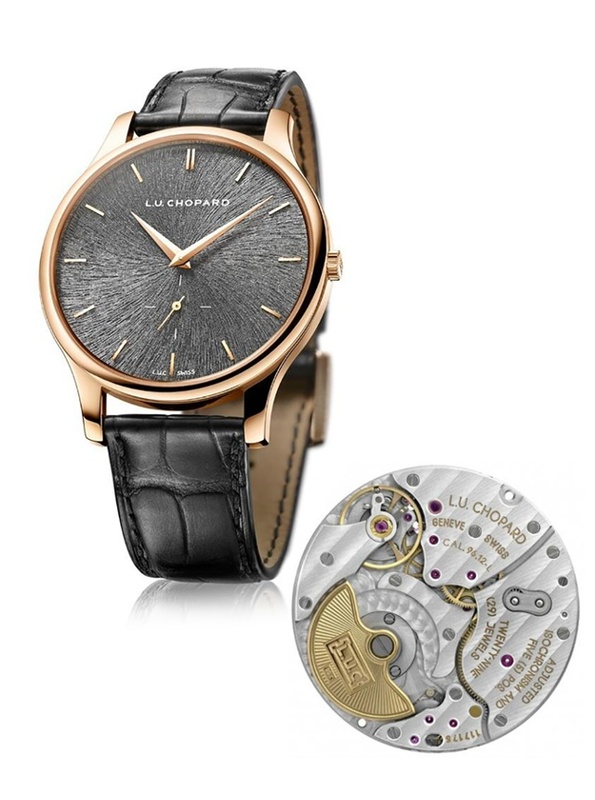 The thin automatic Chopard in-house caliber (L.U.C 96.12-L) with micro-rotor offers a nice 65-hour power reserve and COSC-certified chronometer operation. The limited edition (250 units) timepiece is available in Chopard boutiques. 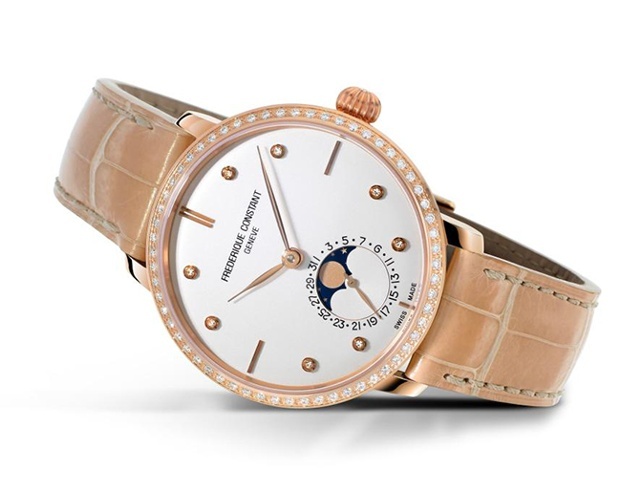 Slimline Moonphase Manufacture Though this independent Geneva watch company focused much of its energy this year on its smart watch and on expanding awareness of its high-end Ateliers deMonaco line, this moonphase model caught my eye early in the show. Its moon display, hands and marker proportions, with just the right amount of bling, make any feminine wrist glow. The watch is a smaller (38.8mm) version of an earlier men’s model of similarly impressive design. And with a gold-PVD-over-steel case, it’s affordable. 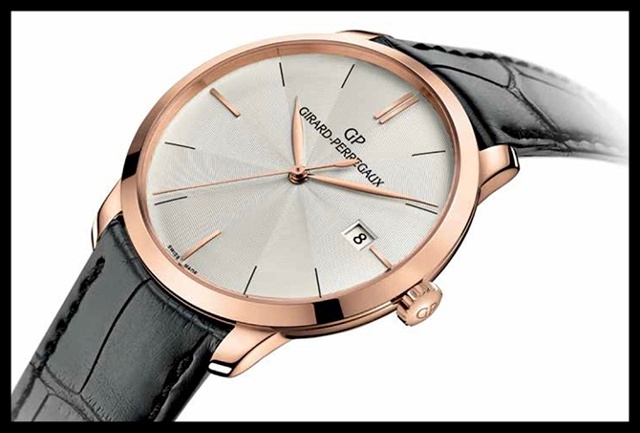 Though pictured just prior to Basel, seeing the newest version of this pure dress model in person during the show reinforces my opinion that this and the firm’s three gold bridge models define Girard-Perregaux’s most successful designs. This new 38mm model, with or without a diamond bezel, offers a rich silver dial with hand-made guilloché with a twelve-sector pattern radiating from the center of the dial. With perfect baton indexes and gold leaf-shaped hands, it oozes class. 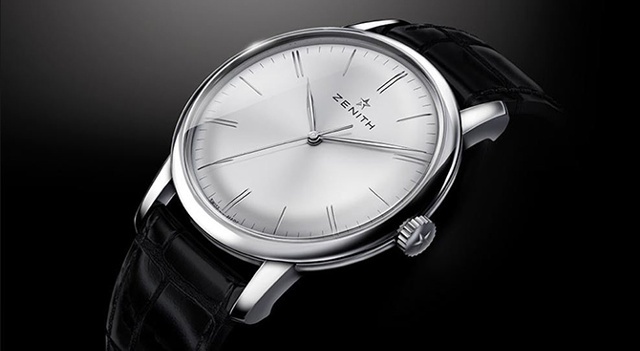 The Zenith Elite 6150 is the first watch to have the new Zenith Elite base caliber, which is the contemporary version of the famed Zenith Elite base movement developed in the early 1990s. The dressy steel 42mm watch is 10mm thin and– sit down– offers a stunning 100-hour power reserve thanks to its twin barrels. And it looks terrific. Bravo to Zenith. 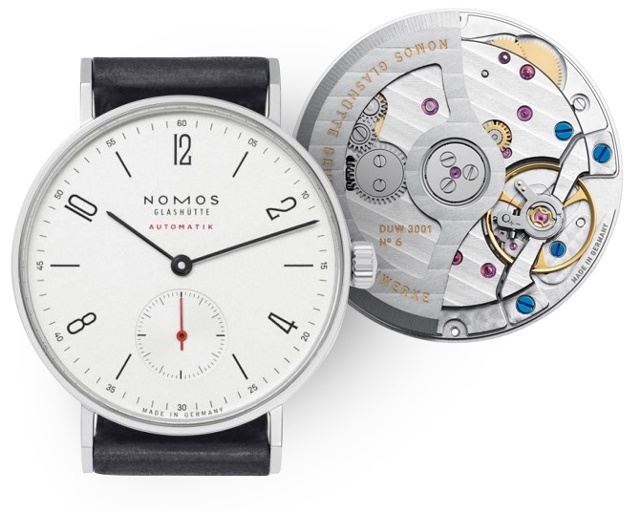 From the masters of understatement, this 35mm automatic model is almost as flat as the firm’s hand-wound Tangente (6.9mm compared to 6.2mm) thanks to the NOMOS caliber DUW 3001 inside, which also features the NOMOS swing system escapement. And at $3,780 it might be one of fair’s best values. But you’ll need to wait until the fall for deliver of the first pieces. 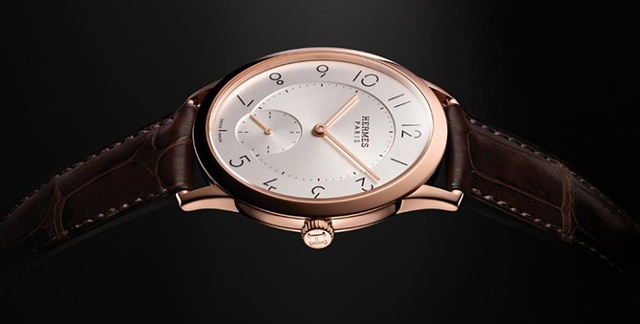 The entire Slim d’Hermès collection, which includes an impressive and thin perpetual calendar, features dial designs that utilize original, airy typographical work of designer Philippe Apeloig. I particularly enjoyed the automatic three-handers, which also use Hermes-designed automatic caliber H1950, the same Vaucher-made base movement in the perpetual calendar. These are 39.5mm gold models, each with a micro-rotor visible though the caseback. The collection also features smaller quartz watches, including several with diamonds.